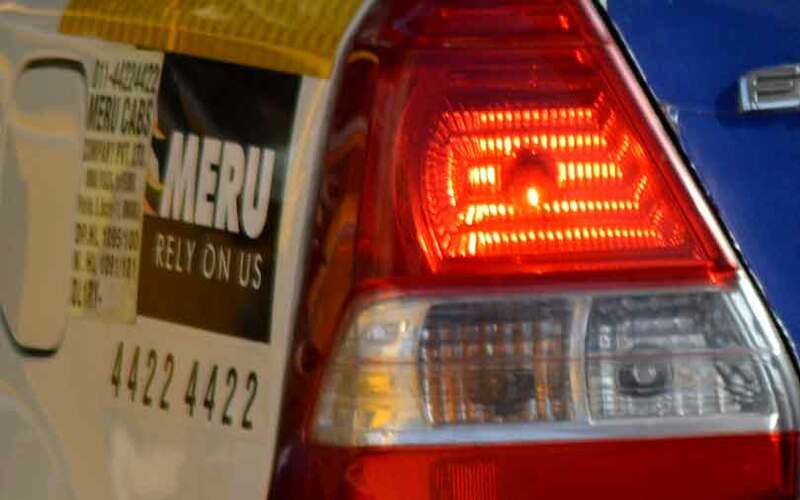 The head of Meru Cabs said the company has filed four new complaints with the country’s antitrust watchdog, claiming that Uber and Ola are abusing their dominance in four different cities by burning vast sums of investor funds to distort the market. “Even before there is any merger or alliance between the two through global investors, there is already a unified monopoly,” Meru’s CEO Nilesh Sangoi said. Though Meru lost an earlier antitrust suit versus Ola, lawyers and industry sources said that moves by SoftBank - already a major investor in Ola - to pour some $10 billion into Uber along with other investors could strengthen the local cab service’s case. Sangoi told Reuters that Uber and Ola have been altering driver incentives and passenger fares in tandem. “Our existing cases get strengthened” with the SoftBank investment, he said, but added the Japanese firm’s plans weren’t cited in the latest complaints. Ola, Uber and SoftBank declined to comment for this article. The new Meru complaints have not previously been reported. Ola on Wednesday said it has raised $1.1 billion from investors led by China’s Tencent Holdings and SoftBank. Ola operates in over 100 Indian cities and Uber in about 30, and both firms have burnt millions of dollars to lure riders and drivers in a bid to outdo each other. Meru was the only major organized player until a few years ago and currently operates in 24 cities. But it has no direct backing of large foreign investors and it has previously filed anti-competitive cases against Uber and Ola. In July, the CCI ruled against Meru on its allegations that Ola was abusing its dominance in Bengaluru city’s taxi market. It ruled Uber too was a significant market player and there was no concept in current law to establish collective dominance of companies. A Meru source said a SoftBank investment in both Uber and Ola may change that scenario. Mohit Saraf, a senior partner at Indian law firm Luthra & Luthra, said while SoftBank’s Uber investment would spark antitrust issues in India, the CCI would need to assess whether Uber and Ola dominate the overall taxi market which is replete with local operators of yellow-and-black coloured cabs. Another source aware of the legal challenges said the CCI would need to delve into how much control SoftBank has at Ola and Uber, if the deal goes through, and the extent to which the Japanese firm has a say in their operations. The antitrust cases in India, nevertheless, are set to further intensify the showdown between ride-hailing firms and local players in India’s $12 billion taxi market. Uber is already bogged down by anti-monopoly concerns in neighbouring China, where the commerce ministry last year began investigating its deal with Didi Chuxing that created a roughly $35 billion giant dominating the China car-hailing market. Chinese media in July said the probe was ongoing. SoftBank is poised to take two board seats at Uber should plans succeed to buy up shares from both existing investors and current and former employees in the coming weeks. People close to the firm are divided on whether SoftBank wants to consolidate rivals or simply cross-pollinate lessons among the group. SoftBank aims to do one or the other, said an Uber investor who has held discussions with SoftBank. SoftBank has previously failed to consolidate investments in India with its attempt to fold Snapdeal into Flipkart earlier this year falling apart in July. SoftBank Vision Fund CEO Rajeev Misra recently told India’s Economic Times he hopes “to make peace” between Uber and Ola in the country. A Singapore-based banker said SoftBank was playing a “high risk strategy” which could turn out to be very profitable if it works out.